Okra is not well known in South Africa. Actually its not very well known except maybe in Turkey, India and Asian countries (but they use a different variety). 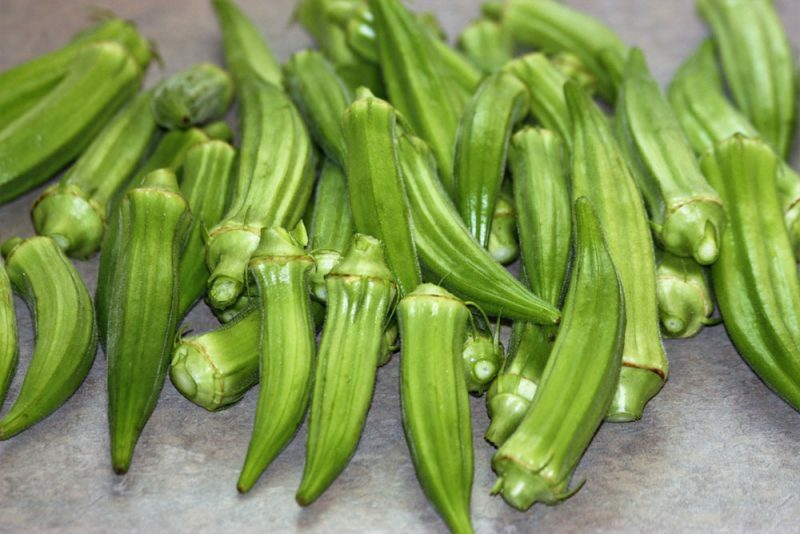 Okra has various popular names such as Gumbo and Lady’s Finger. Chinese Okra is something totally different, Luffa acutangula, family Cucurbitaceae. The Okra we are talking about is from the family Malvaceae. As far as we know it originated in Africa or Asia. 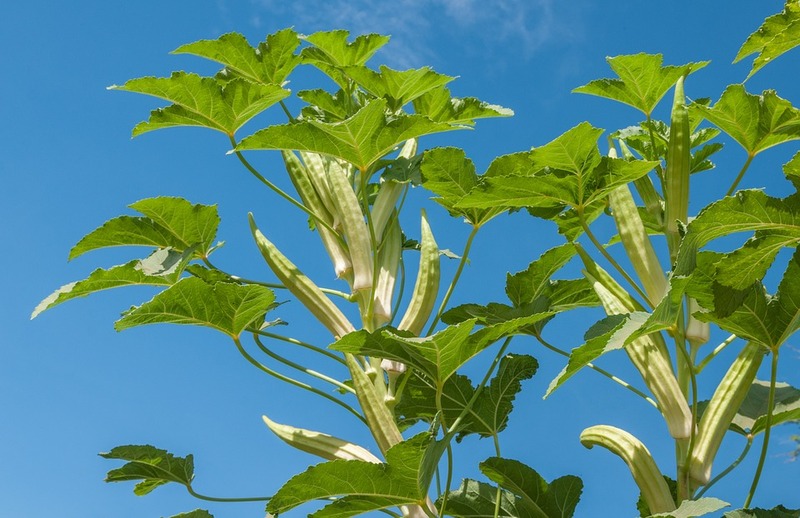 Okra is an annual summer crop, grows 1-2m high and has a very straight growth pattern. The plants break easily so it cannot be planted in windy areas, the Western Cape is out of the question. The fruit colour depends on the variety. Although people refer to the fruit as a legume it is actually a capsule. The young fruits are cooked or baked before eaten. Okra is mostly used in soups and stews and seldom eaten as a whole fruit. The leaves can be used just as spinach, so the whole plant can be eaten. The market is very limited and in South Africa its focus is the Indian population. The young fruits can be pulverised, dried and used as flavouring in food. Ideal temperature is between 21-29°C. It will not tolerate temperatures below 8° and above 35°C yields will suffer dramatically. It is very susceptible to frost damage. So, early and very late plantings must be avoided. And as said before, don’t plant where there is a lot of wind. Fertilizers. As this is not a developed plant, not much is really known about optimum rates. So very general recommendations should be followed. Use safe fertilizers such as 2:3:29(22) at a rate of 750-1000 kg/ha. A week before planting ad 500 kg/ha superphosphate and an extra potassium sulfate or potassium nitrate can also be added – 50-100 kg/ha. After about 4 weeks, depending on how warm it is, add LAN or 2:3:2(22) at 200 kg/ha again. If the season was colder and growth is not as good compared to previous years wait until week 5. The plants should start producing from December onwards. Transplanting to harvesting is about 50-60 days and from direct sowing to harvesting 85-95 days. The total growth period is about 180 days. The plant will produce fruit as long as it is harvested. Once fruit are left on the plant it will stop producing and die off. In most cases the temperature stops the plant from producing more fruit. If there is wind in your area, use a trellising system that suits your budget. Quite often the same system used for tomatoes is used for Okra. Expect a yield of 5 t/ha and in ideal conditions 10 t/ha can be achieved. The fruits are 75-100 mm and once bright green they are ready to be harvested. Always remove over ripe fruit as they prevent the development of other fruit thus reducing yields. Cold damage symptoms are discolouring, water soaked areas and decline of tissue of both pods and other vegetative matter. The best time to plant is during the spring. As with all crops, the earlier you can plant the better but be careful of frost. If you are serious there are a couple of varieties available such as Clenson Spineless, Perkins Spineless, Annie Oakley III (F1 hybrid) and Emerald (F1 hybrid). The seed is dark green to gray black depending on variety. Seeds are about the same size as pea seed so they are easy to plant by hand if you must. You need about 8-10 kg/ha. It takes about 7 days to germinate at ±30°C. So lower temperatures might take slightly longer. The optimum temperature for germination is quite high at 35°C. The seed will not germinate below 16 °C so planting too early in spring will result in low germination rates and low plant standings. You can store Okra seed for about 2 years under cool dry conditions but it is best to get fresh seed everytime you plant a commercial important crop. Okra is a not well known plant but has niche potential as it is high in vitamins. Growth is limited during summer only and it is very sensitive to windy conditions. The seed can be soaked in water for 24 hours before it is sown. Sow the seed in trays and transplant when the seedlings are 150mm high. Transplanting too early can result in higher mortality. The seed can be sown directly. The safe way is to place two seeds per spot and thin out later. However this is only used by home gardners and not commercial farmers. Seeds are placed 25-50mm deep. Note this is deeper than other crops such as tomatoes and peppers. As Orka is quite a big plant the spacing is slightly wider than usual. Between rows: 500 – 1000 mm. In rows: 400 – 600 mm. 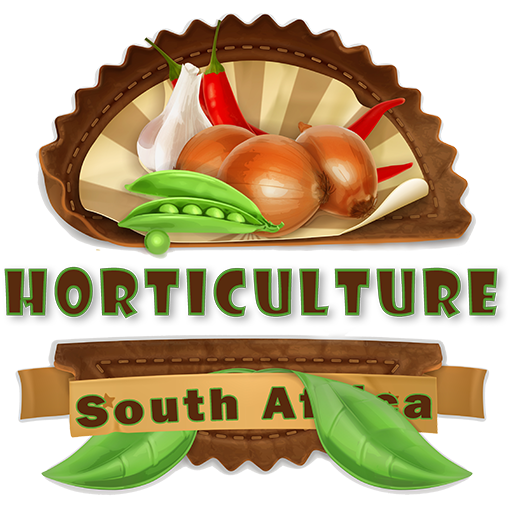 Try and achieve a population of 30,000 plants in a hectare. Okra pods mature quickly. So there is a short window between immature pods and over ripe ones. That is where a lot of growers fail. You have to watch the crop daily and know when to harvest. In most cases you will have to harvest every second day. This makes Okra an intensive crop to grow. 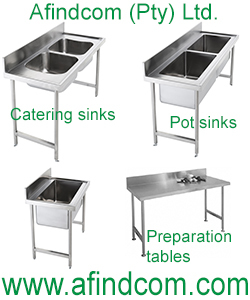 It is labour intensive and you need good planning and labour management. Okra can be stored for 7-10 days at 7-10 °C and a relative humidity of 90-95% which is very high. Disease control must be very effective in the cold rooms otherwise you can lose the whole crop. Cold damage will ruin the pods below 4 °C. Throw frozen pods away. Okra like cotton is susceptible to eelworm. If you have eelworm fumigate with EDB before planting. Various other insect pests may occur such as cutworm, snails etc. Fungal diseases: Symptoms: masses of pinkish fungus like objects at the base of the plant. It happens with a sudden drop of leaves. The best way to control it is with crop rotation. Verticillium wilt. Plants shrivel, look chlorotic and leaves fall off. Again not much help as crop rotation is the best option. Okra diseases are the same as with cotton as they come from the same genetic material.